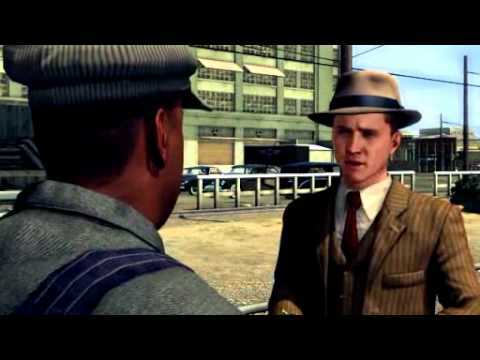 The Naked City: In this bonus case from L.A. Noire’s Vice Desk, detective Cole Phelps investigates the supposed suicide of a stunning fashion model. Can you help Cole unravel the truth in a city blighted by drugs, corruption and greed, where the death of a beautiful woman is never as straightforward as it seems? 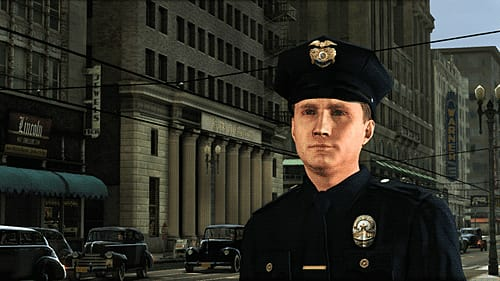 The Badge Pursuit: Hidden around L.A. Noire's beautiful recreation of 1947 Los Angeles are 20 police badges to find and collect. If you can find all 20 of these badges, the dapper Button Man suit will be unlocked which provides extra ammo for all weapons. 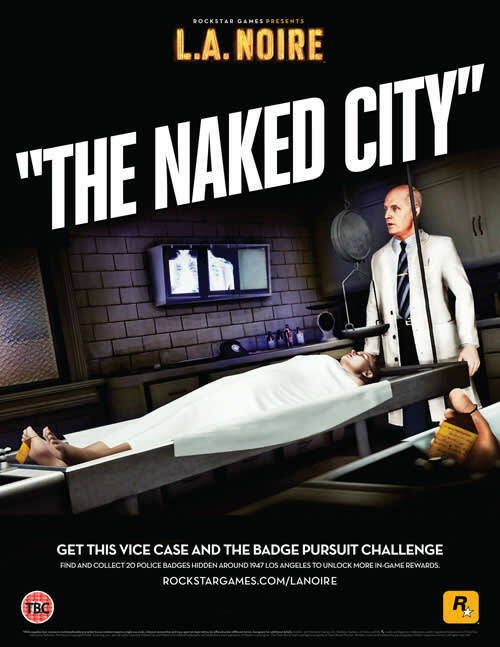 Each badge also provides 5 additional XP which will help further unlock Intuition Points – special credits that can be used to give Phelps a key investigative insight when you need it most. 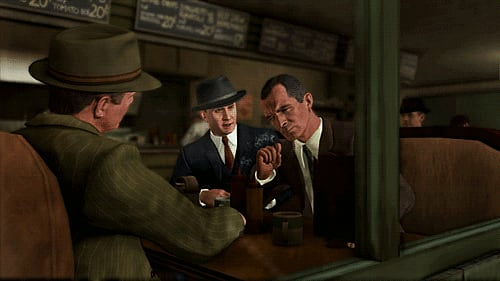 Amid the post-war boom of Hollywood’s Golden Age, Cole Phelps, an LAPD detective is thrown headfirst into a city drowning in its own success. 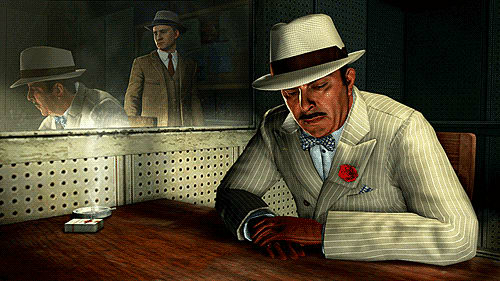 Corruption is rampant, the drug trade is exploding, and murder rates are at an all-time high. 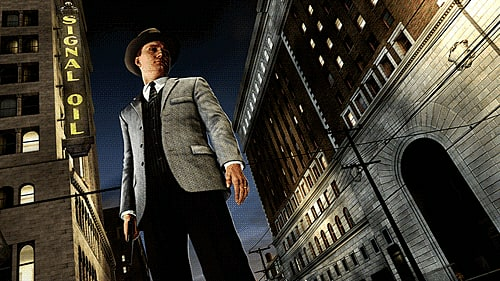 In his fight to climb the ranks and do what’s right, Phelps must unravel the truth behind a string of arson attacks, racketeering conspiracies and brutal murders, battling the L.A. underworld and even members of his own department to uncover a secret that could shake the city to its rotten core. 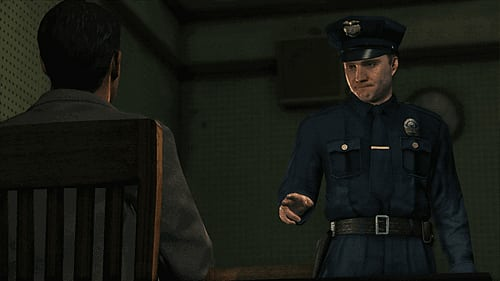 Using groundbreaking new animation technology that captures every nuance of an actor’s facial performance in astonishing detail, L.A. Noire is a violent crime thriller that blends breathtaking action with true detective work to deliver an unprecedented interactive experience. 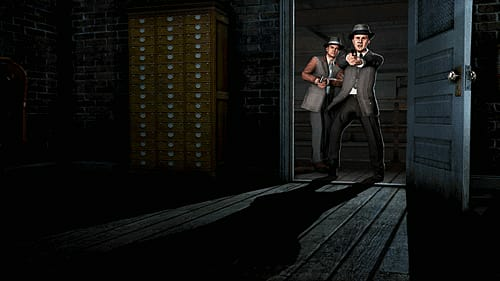 Search for clues, chase down suspects and interrogate witnesses as you struggle to find the truth in a city where everyone has something to hide.